This project was built in partnership with E2 Designlab and LAT 27 landscape architects. This is the first project where Evolve performed the civil construction, under the expert eyes of our project partners. 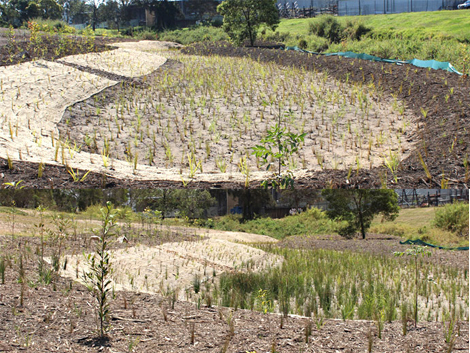 The project is a prototype wetland, riparian zone diverting stormwater through a series of basins and over 10,000 plants. This project was completed on time and on budget thanks in part to the unique process of design and construction performed by the project partners.